Family: Slain Rayvon Little enjoyed basketball, reading | Homicide Watch Chicago | Mark every death. Remember every victim. Follow every case. Authorities said Little was outside when somebody in a passing group opened fire. 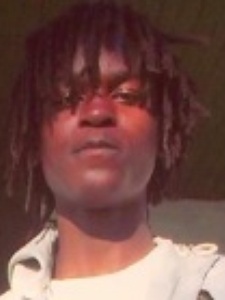 Little was shot multiple times and died about an hour later at John H. Stroger Jr. Hospital of Cook County. Another man, 19, was shot in the leg but survived. Rayvon Little, who attended a local alternative high school, enjoyed riding his bicycle through the neighborhood and playing basketball and football at local parks, his grandmother said. At home, Rayvon Little would “read for hours” and wanted to become a teacher, his grandmother said. “He wanted to better himself, but I guess it was too little too late,” said Richardson, who added “it can happen to anybody [in this neighborhood]”. Christine Little said her grandson was out when the gunfire erupted, but she never thought it was him who was shot. Immediately after the shooting, Christine Little said she went to the front windows, but she was unable to get a good look because the windows were being replaced and were covered with plastic. Christine Little said nobody knocked on her door to tell her it was her grandson who was killed until after police left. Nobody has been charged for the murder. Area South detectives are investigating.